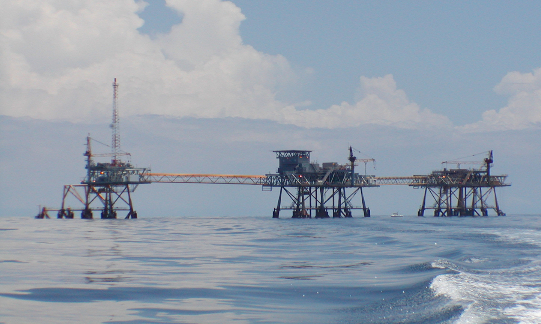 Join us as we head out into the Gulf of Mexico to dive on the Oil Rigs. 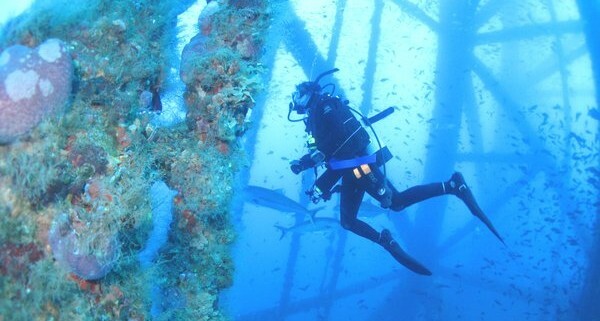 The Oils Rigs are an artificial reef habitat to many species of underwater creatures! 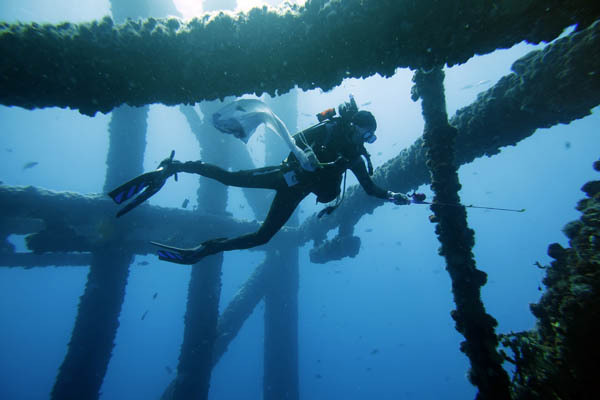 If trained and meet the requirements, you have the option to spearfish while on these trips. 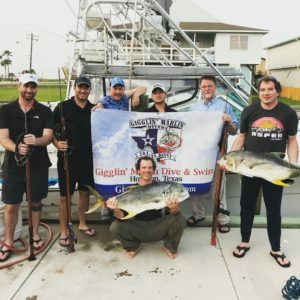 Want to learn how to spearfish so you can join our trip? Enroll in our spearfishing clinic!